With a sporty, contoured silhouette, these sunglasses are stylishly cool with a matte black acetate frame. Rounded rectangular lenses in green provide excellent color contrast and clarity while blocking the sun's harshest rays. 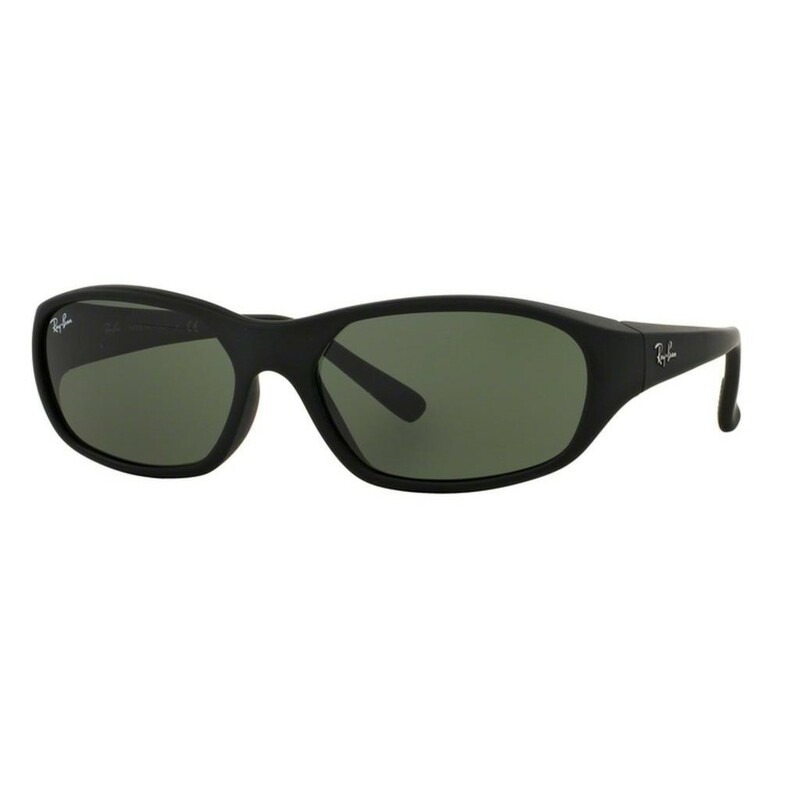 The classic metal Ray-Ban signature is prominent on curved temples.